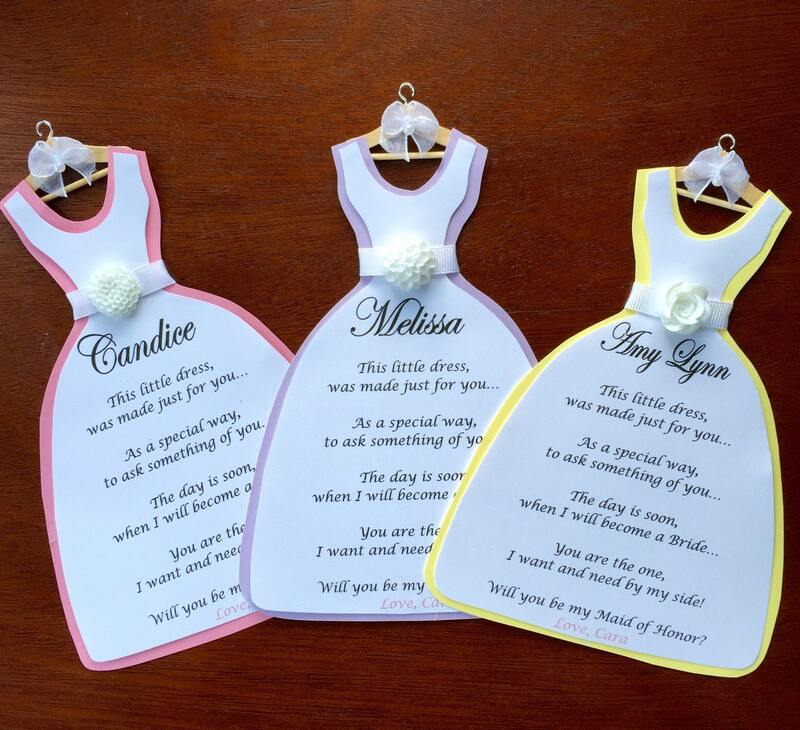 These are custom, hand-made "Will you be my Bridesmaid/Maid of Honor/Matron of Honor?" 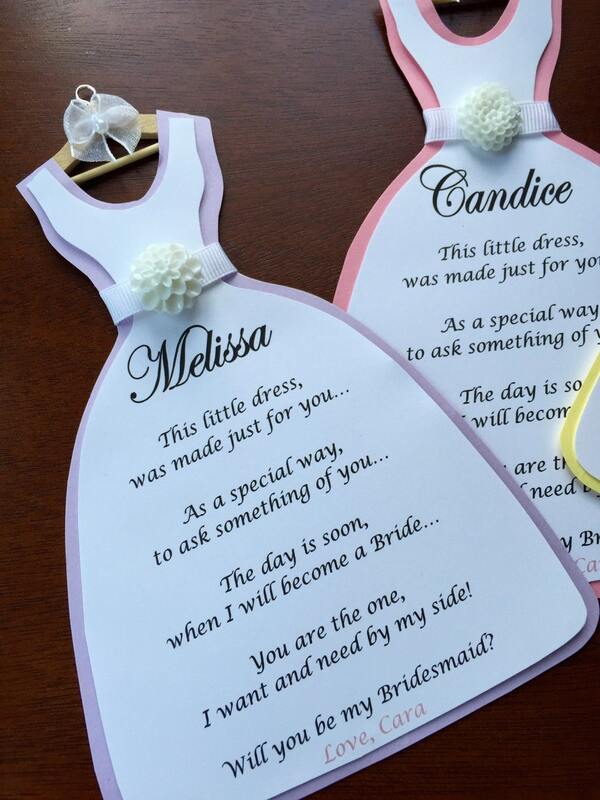 Dress Style Cards. 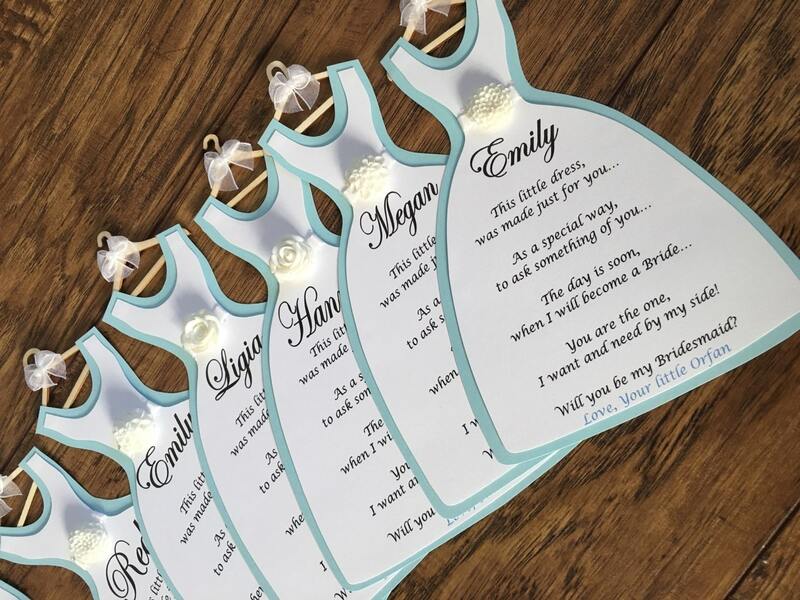 Each dress is printed on card stock then attached to thick card stock backing (color of your choice-SEE COLOR PALLET). White ribbon wraps around the dress and is fitted with a ceramic flower. 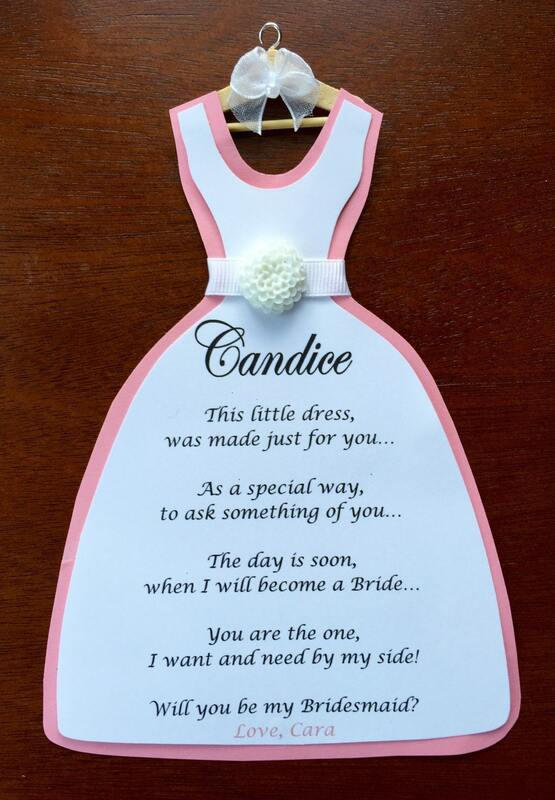 Each finished dress is then attached to a wooden hanger with a bow. 2. What you would like to be called at the bottom where it says "Love, Cara"
3. Include the backing color for the dresses. 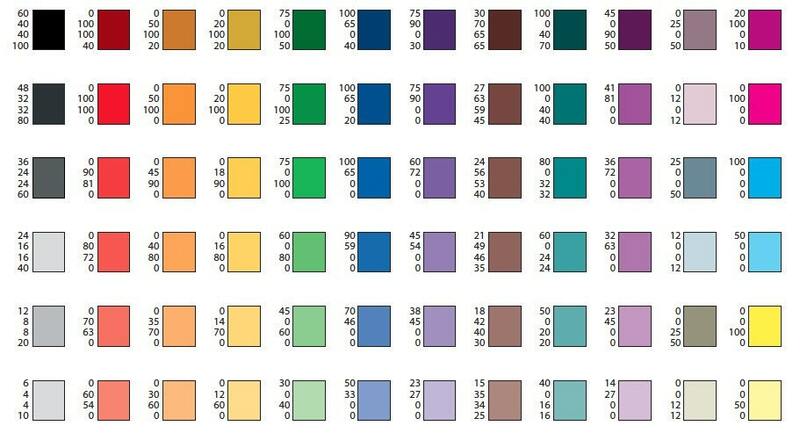 You can select different colors for each bridesmaid, just indicate when ordering. You will receive your dress within 1 week, no later than 10 days Guaranteed! I ship priority mail-USPS. They were beautiful my bridesmaids really loved them ! Thank You! My items came Very fast to my house, and were Just as I had pictured! thank you So much for helping make my experience so special. Great! Beautiful, and look just as described.